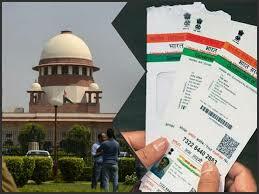 The Supreme Court on 26th September 2018 ruled that Aadhaar/UIN is not required for mobile connections or opening a bank account. Many of us would have already linked our biometric details to banks, telecom service providers & digital wallets through e-KYC or c-KYC process. So now that the Supreme Court has said that it is not necessary, many of us would want to de-link our Aadhaar. To de-link Aadhaar from your bank account you have to visit the bank branch and ask the customer service to provide a physical form to de-link Aadhaar. Your Aadhaar will get de-linked within 48 hours of the submission of forms. You can check for the same by calling the bank to find out if the account has been de-linked. You can visit the nearest store/service center of your telecom service provider & follow the similar process to de-link the Aadhaar from your mobile numbers. To de-link Aadhaar from private wallet services you have to call the required customer care numbers of the private wallet firms such as Paytm, Ola, Uber, Google Pay, MobiKwik etc. Ask for an email from the customer care service representative to de-link your Aadhaar. You will receive an email, which will ask you to attach a clear soft copy of your Aadhaar with a message like “Dear Customer, in order to process your request, we need you to send us a clear picture of your updated Aadhaar card for validation purpose. Request you to share the same with us”. Reply to the mail with the picture of your Aadhaar card. These firms will confirm by email that your Aadhaar will be de-linked within 72 hours. Follow up with the service provider later to verify the same. According to Unique Identification Authority of India (UIDAI) “Compendium of Regulations, Circulars and Guidelines” for authentication of Aadhaar-based e-KYC, the Aadhaar number holder may, at any time, revoke consent given to a KUA for storing his e-KYC data.